I can provide batting for you, or you may send yours with your quilt top. If you provide batting it must be in one piece, and six inches larger than the quilt in both directions. My best seller. 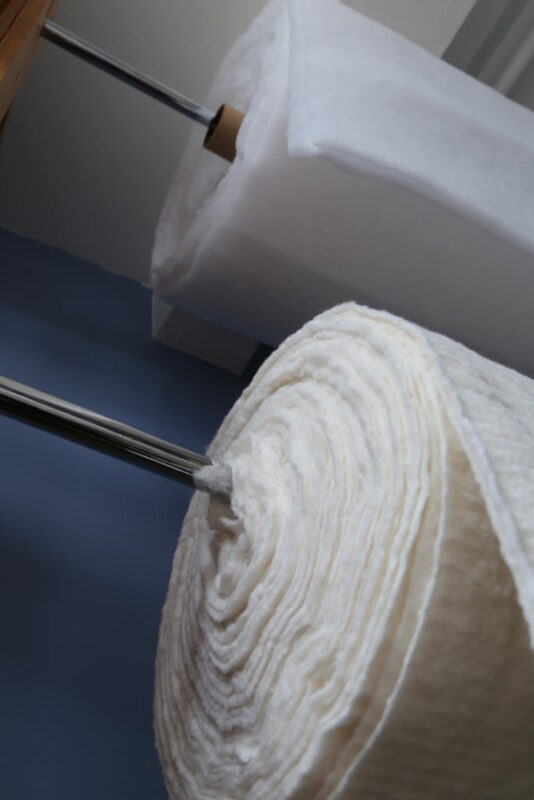 A naturally anti-bacterial, eco-friendly material, made with long staple cotton and bamboo. No chemicals and no bleaching make it ideal for allergy sufferers. Ideal batting for light coloured quilts, will not make whites look cream. The finished quilt can be machine washed and dried on the delicate cycle. A little loftier than the other battings, Polydown has siliconised fibres which make it lovely to touch. It’s resin bonded to resist bearding and migration. Machine washable, non-allergenic. 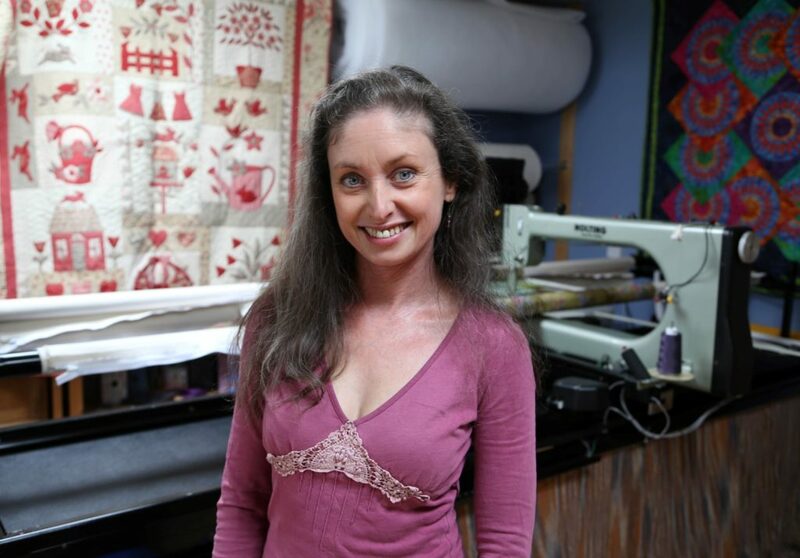 I have been quilting in my purpose built studio in south west London for 14 years. It has excellent daylight, and is a pet free environment in which to work.